That ought be enough. So, if you are in New Mexico make Tim’s Place a destination. But there is more! 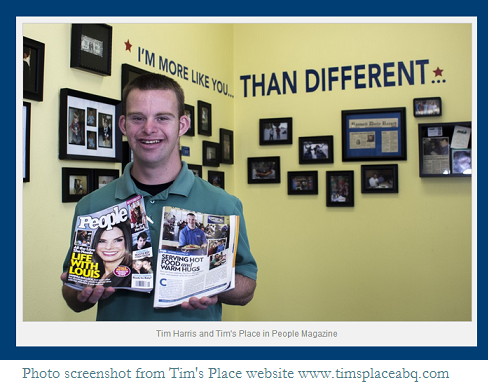 Another thing that makes Tim and his restaurant special (besides his positive, inspiring and uplifting attitude) is that he has Down’s Syndrome. Watch the video, feel inspired. Add a Smile in the Box Below. Previous articleBookstore Owner Retires, Gives Million Dollar Store to Employees! Next articleDoctor Delivers Babies with Great Love – and Song!